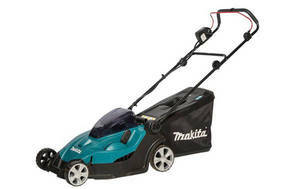 Snapshot: The Makita DLM431 is a catcher-only battery-electric mower that weighs 15.6kg and has a cutting width of 43cm. But is it a smooth operator? Reasonable battery life (28 minutes). Kit includes (and mower requires) two batteries, but only one charger is included, meaning a long wait between runs.